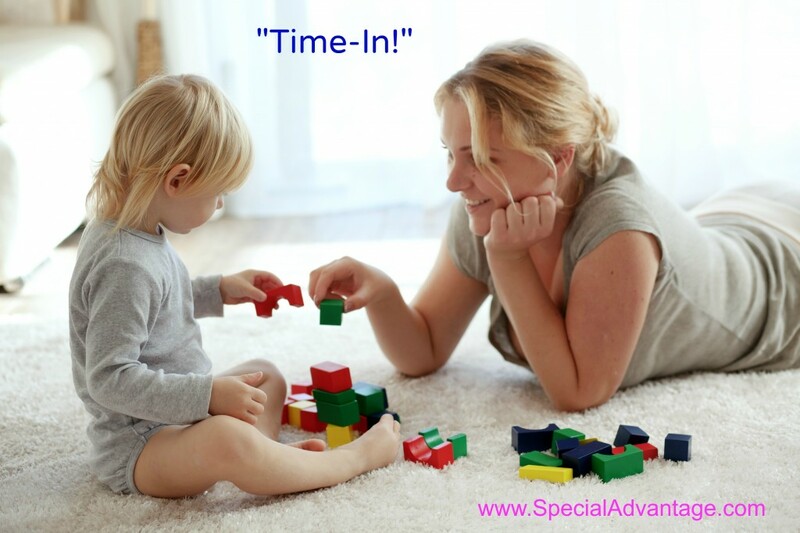 “Time-out” gets used a lot but why aren’t people talking about (and using) a “Time-IN?” – which in my opinion is extremely important when you are trying to teach what is appropriate and what is not appropriate. Behavior management is a hot issue. I get asked all the time to help parents extinguish undesirable behaviors and I have to say, the majority of parents look at me like I’m from Mars when I ask about their “time-ins.” To me, a “time-in” is letting the child know what they are doing right, it lets them know that you are pleased by a certain behavior and, believe it or not, your little pumpkin would rather please you and see you happy over displeasing you and seeing you angry – trust me on this one. So, if it’s a “No,” for example when they are standing up in their highchair or throwing blocks at your head, shouldn’t you somehow communicate to them that you like it when they are seated on their bottom or playing with blocks appropriately? It could be just your smile and an encouraging nod from you while you are at the kitchen sink that is their “time-in” indicator. That might be enough – or a comment such as, “I like how you are sitting on your bottom” with that smile and nod in their direction. Perhaps you join them on the floor and play with blocks together. These gestures go a long way in helping shape positive behaviors in children. So, what behavior do you wish you could change in your child? And what do you want them to do instead of that negative behavior? If you don’t know, chances are your child doesn’t either. Think about what you would like to see them doing, teach it to them and then praise them often when they do it – in whatever way encourages them to keep up the good work. Positive praise from you might be clapping for them, smiling at them, telling them specifically what you like that they are doing, thumbs up, a big “YAY!” Whatever is developmentally appropriate for your child at that time and whatever it is that individually motivates him or her. Words of advice though, try staying away from tangible rewards like food, toys and money as long as possible because you’ll find these rewards need to increase overtime whereas positive praise and encouragement from you, does not. I’m here to help, but the first step is yours. This entry was posted	on Wednesday, August 20th, 2014 at 7:14 pm	and is filed under Behavior. You can follow any responses to this entry through the RSS 2.0 feed. You can leave a response, or trackback from your own site. Oh I love this so much!!!!! We need more encouragement and acknowledgments in our culture. We can’t always be focused on improvement and moving forward. We need balance with pats on the back, cheers for jobs-well-done. I work with so many adults who don’t know how to do this for themselves and they just keep pushing, pushing, pushing. Teach our children while they are young to focus on what they are doing RIGHT and we will have more happy adults. Yes, Susan, that’s it exactly! Focus on the positives, what they are doing RIGHT as you say – that’s what makes all the difference – rather than focusing on all the negatives and what is wrong! That is what builds up their self-esteem, improves their behaviors, and ultimately brings out the happy kids AND the happy adults, which is really our ultimate goal! Thanks for your comment, Susan!